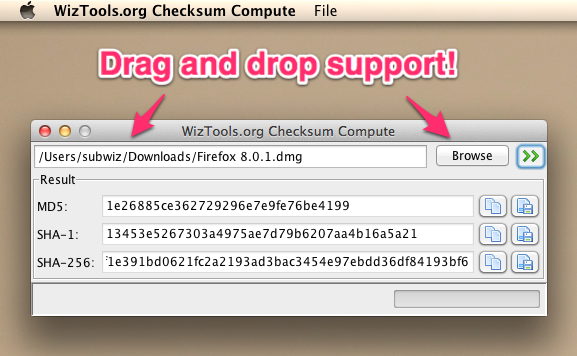 WizTools.org Checksum Compute version 0.4.0 released. This release supports native drag and drop support for files. Download from: http://code.google.com/p/wiztools/downloads/list.